Estate Sales News wishes you all a happy Labor Day weekend. Whether you’re heading to an estate sale, friends, or family please drive with care and arrive safely. 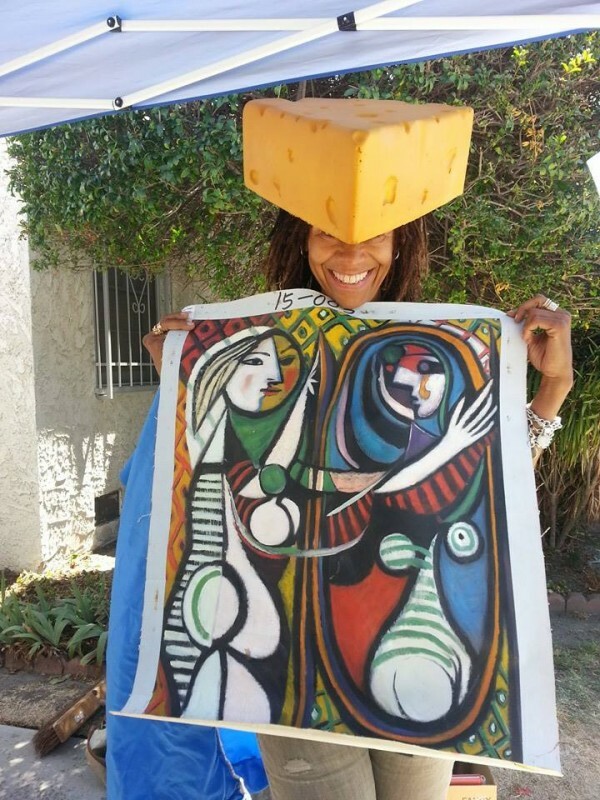 We want to share a photo of a happy buyer exiting an estate sale in Los Angeles from Again L.A. Estate Sales. You can find them on EstateSales.Net, EstateSales.org and Facebook. We visited with them last year at one of their fabulous sales in Los Angeles, CA. Estate Sales News will be enjoying the Labor Day weekend and we’ll be back on Tuesday, September 2nd. If it’s Friday, it’s estate sales. 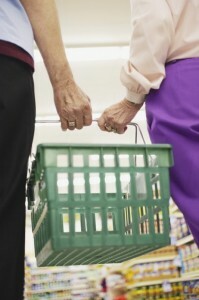 When retirement time comes many people on fixed incomes look for ways to save. One way of saving is to shop at estate sales. There they can find linens, good second hand clothing (sometimes even new clothes never worn), and at many sales things like partially used cleansers, laundry products, paint and paint supplies. You might even find your next car. Gifts for special occasions and holidays can also be found at good savings. Even gift wrap, ribbons and bows. Supplies like pens, scotch tape, pads of paper, paper clips etc. can also be found at estate sales. 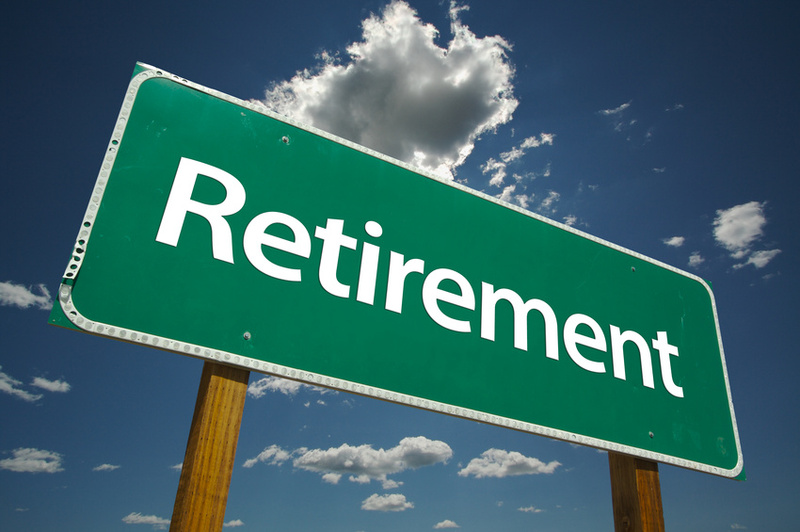 Many people retired or not also shop for books on a variety of topics. Even sun glasses and readers can be found. So can computers, tablets, televisions, radios, DVRs along with a host of other electronics like irons, toasters, blenders, mixers, etc. It’s amazing how much can be saved by shopping at estate sales and for many individuals saving at an estate sale is a boost to their economic well being. Even if you aren’t retired it is still a great way to save $$$ and help our planet. Who Is Shopping At Estate Sales? It’s the Monday before the start of the Labor Day weekend and a good moment to talk about those buyers coming to estate sales. 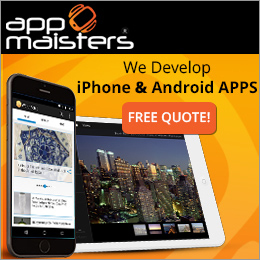 If you have been looking on any social media websites or auction or sale sites there are a variety of shoppers. The buyer who is looking for a particular item(s) to furnish their home or apartment (funiture, dishes, stemware, flatware, linens., etc.). 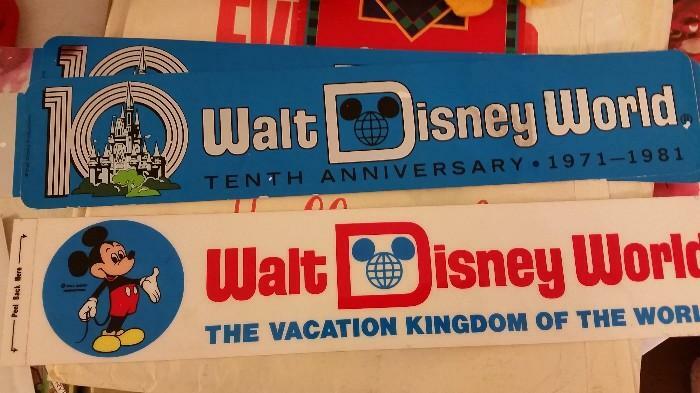 Collectors are ever present at estate sales. Those that come looking for items for resale, and what a variety of markets there are. eBay, and Auctionzip ar just a sampling of the multitude of auctions sites for some. New websites like Lofty for items valued at over $500.00 (see their March 14th, 2014 article here on EstateSalesNews.com), Etsy a market place for not only crafters, but for those that sell vintage (Etsy considers anything 20 years or older to be vintage). 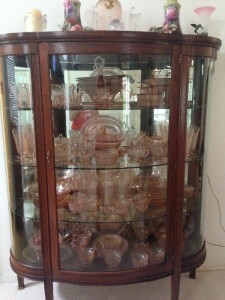 Others are antique dealers and show dealers that sell in antique malls and participate in a variety of antique shows. There are also those that have second hand shops and consignment shops as well. There are those that shop estate sales for gold or silver to sell for smelting (jewelry, flatware, holloware) etc. You can look at Pinterest.com to see many individuals who collect and like to share their collections through photos and also those that sell on Etsy. 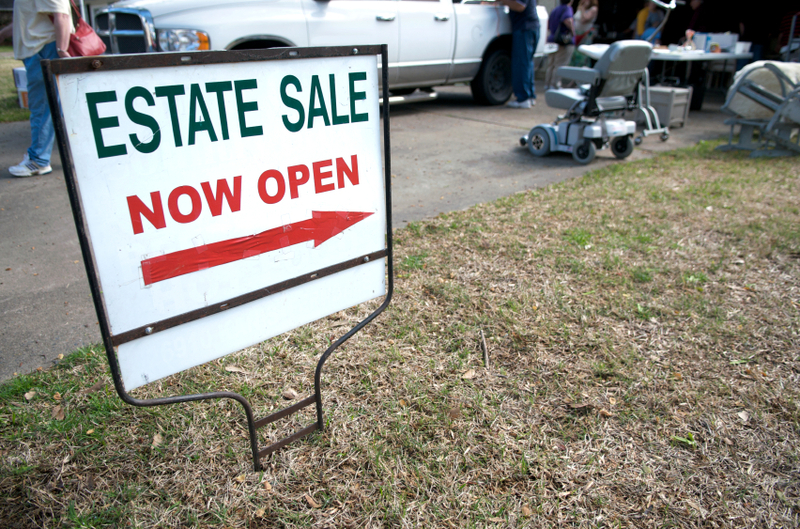 The extreme growth that the estate sale industry has experienced in the last five years has opened the flood gates to a whole new audience and businesses. As in any market place prices fluctuate with the economy, style demands, and location of the estate sale, but the following of buyers continues to grow. With Labor Day only two weeks away, colleges are in session, many parts of the nation have their elementary and middle and high schools going and by September 3rd almost all students will be back in their classes. Estate sales flourish in the autumn, especially after Labor Day and it is a great time to start shopping for those autumn and winter necessities. Dining room sets for Thanksgiving, table and home decorations for Halloween and the holidays, linens, china, stemware, and ornaments for the Christmas tree. Estate liquidators look forward to the autumn with the return of the buying public from their summer vacations and the cooling temperatures. Get your lists made, measurements taken, color choices decided on and your vehicle ready for a exciting and fun season of estate sale shopping. Estate sales, saving you $$$ and helping to keep our planet green. Estate Sales News is also refreshing our website for autumn too. Estate Sales Friday – Have All Your Student Needs? In many parts of the country school is already back in session, however, many colleges and universities haven’t started yet. A quick reminder that if you still need items such as towels, blankets, kitchenware, linens, etc. today and tomorrow is a good time to visit your local estate sale and shop for those last minute items that will save you $$$ and keep the world green. A reminder that our news worthy estate sale from earlier this week run by Judy Martin, The Perfect Thing is on day two of this three day sale. She is at 10910 S. Prospect, Morgan Park, IL 60643. Check out our videos from last Friday and this past Monday to see how things started yesterday. 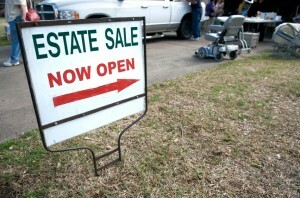 Don’t forget your estate sale kits, drive safe, have fun, and save money. If it’s Friday it’s estate sales. It’s only August 14th, but now is a terrific time to shop for the holidays. 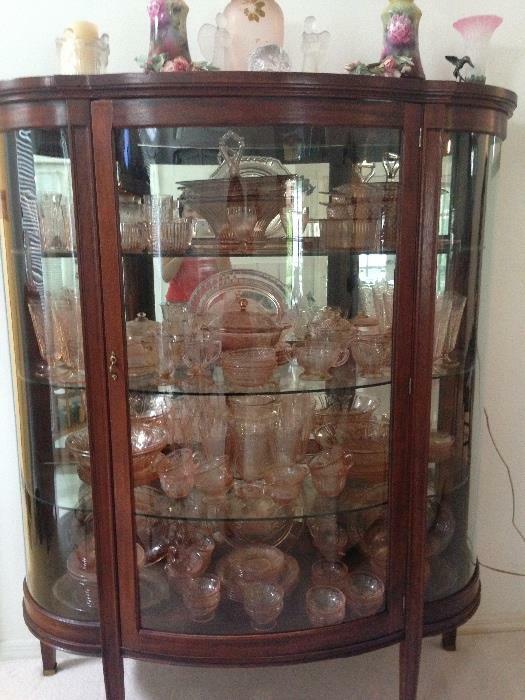 With so many estate sales out there, you’re sure to find some treasures and good buys. Whether you’re looking for Thanksgiving, Chanukah, or Christmas decorations or now is the time. Especially with several months to go. Clothing from high end to vintage is abundant at sales. From a Louis Vitton bag or wallet, to a 1950’s swirl skirt or ruffle top apron and don’t forget shoes, ties, shirts etc. So much to choose from at a variety of prices. Looking to change out your end tables, bedroom set, get an additional sofa for your living or family room, what a selection. 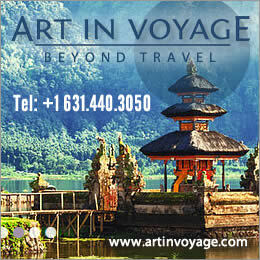 Better than most furniture stores and everything from designer to the very inexpensive, leather or material. How about a car, for the new teenage driver or to replace your old gas eater. Looking for jewelry. Fine gold and silver, great vintage costume, Native American, so much can be seen at so many estate sales and the prices are right. So now is the time to make your list, check it twice and go estate sale shopping. Oh and please tell them you heard about them from Estate Sales News. 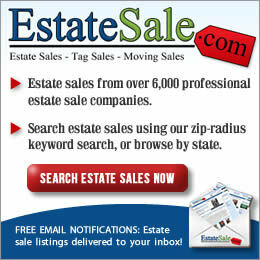 Your estate sales online resource and please Like Us on Facebook and/or Follow us on Twitter. Here’s a look at some of the fascinating, unique, fun, or useful items that you will find at estate sales this week. 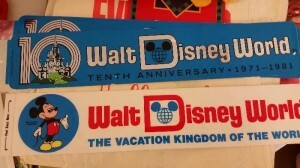 We will include the estate sale company name. 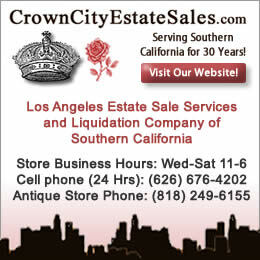 To find estate sale you can check out these websites as well as others not included here. 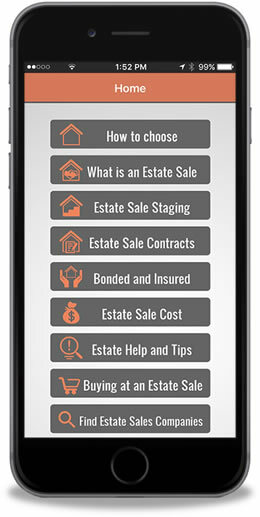 EstateSales.NET, Estatesale.com, EstateSales.org, and Tagsellit.com You may find that many estate sale liquidators will have their sales listed on all of the above sites. A note for football fans Expert Estate Sales will be holding an estate sale for former NFL defensive tackle Sedrick Ellis starting August 15 in Rancho Cucamonga with designer furnishings. This represents a cross section of the 1000’s of estate sales taking place this weekend across the country. Here is part two of our interview from last week with Judy Martin, ISA, CAPP at the Simmerling estate in the Morgan Park area of Chicago. The sale beings Thursday, August 14 and concludes on the 16th. In this video Judy will describe many of the collections for sale and what has happened to values of many items. When we visited Judy the staging of the estate sale was a work in progress. 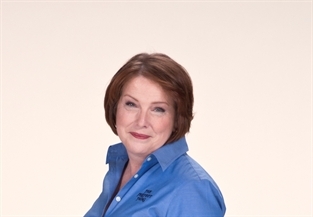 Here is a link to Judy Martin’s website for more information on her, her company’s services and The Perfect Thing Shop in Wheaton, IL. 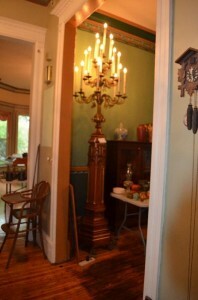 Estate Sales News has received many comments on our part one interview with Judy Martin, ISA, CAPP. Our dialogue will continue with Judy on Monday where she takes us on a tour of the home in Morgan Park Chicago. It should be pointed out that this sale was in the process of staging, cleaning, and hadn’t been priced. 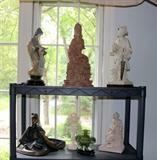 It provides a good perspective about the work it takes to prepare for an estate sale. When you walk into an estate sales today take the time to look around at how it’s been staged, whether the items have been cleaned, and if the electronics have been tested. Remember that the items sold at estate sales are usually sold as is and most estate sale companies have a no return no refund policy. There are thousands of estate sales across the country starting today. If you’re looking for items, this is a great source. If you are interested in having an estate sale and finding a liquidator go check out your local sales to see how they are handled and who impressed you. Judy Martin’s video on Monday. Judy and Kate Martin are the owners of The Perfect Thing, an upscale consignment boutique in Wheaton, IL and also conduct estate sales and appraisals. We will be visiting them in Morgan Park, the historic Chicago Home of for the upcoming estate sale of the collections of John (Jack) and Marjorie Simmerling. Jack Simmerling was a well known Chicago artist. Here is a video done last year for Windy City Live with Judy. We will have more on Judy and this fascinating sale upon our return from Chicago.